BTV Govt job circular Application Form Available. Today Bangladesh Television Authority Announce New job vacancy Notice On Official Website www.btv.gov.bd. Recent Bangladesh television job circular Publish For Bangladeshi Jobless People. This BD Government National TV Controller Asking Some Energic and Educated HSC, Graduate Student For 16 Catagory Tv Recruitment Position. 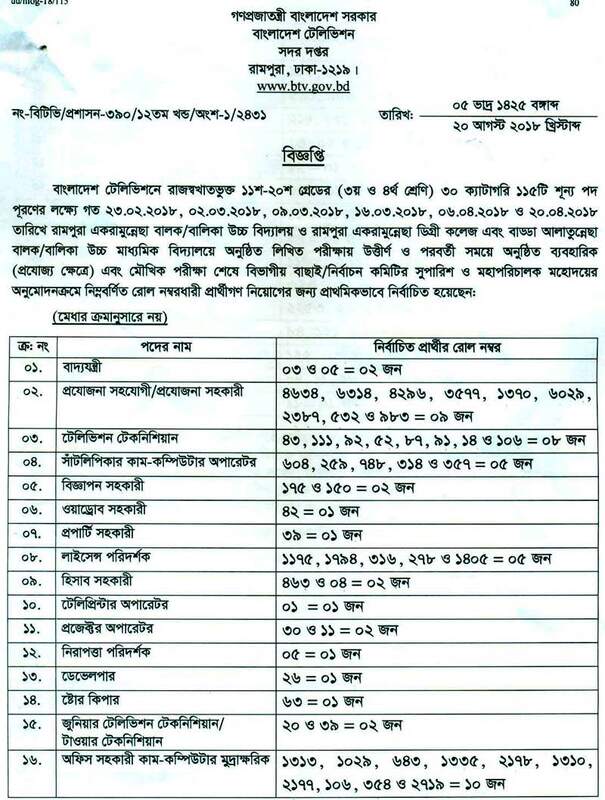 See More Details About www.mopa.gov.bd Job Circular application On Web Official Website. Hello Bd Govt jobs Seeker, You Also See Bangladesh Television BTV Govt job circular And Application Download From Edujobbd.com. It’s Bd Education and All Job Circular Newspaper Info Provider Online Portal. In here Also Download. www.btv.gov.bd job application form download, www.btv.gov.bd Exam Result Date, btv job circular 2017 pdf Etc. See Below Bangladesh Television BTV Govt job circular Application Summary. Organization/Sector Name: Bangladesh Television- | বাংলাদেশ টেলিভিশন. Job Type: the Government job. Application Published Date: As per circular. BTV job Salary : 8,250 – 24,680 Taka.. Application Start Date: As per Btv Employment circular 2018.